The Cancun Xoximilco excursion will provide you and your family with an unique experience. This experience will no doubt be one of your favorite memories of your time in Mexico. 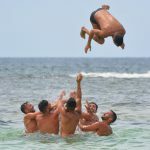 The passion for fun is a major element evident in the culture of Mexico. And nearly every party in Mexico is known for its great music, traditional foods and drinks. You will also enjoy the natural beauty of Cancun while you cruise along the water. You can smell the pleasant aromas and scents from the traditional and authentic Mexican dishes that you will be able to eat. One thing that Mexico is known for is tequila, and with this celebration you will be treated to plenty of different drinks at the full open bar. Salud! 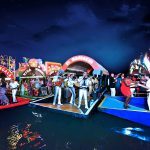 While you are cruising down the river, you will get to enjoy live music from local performers who will be floating by on their own boats to entertain you and other guests, and for just a small price you can make song requests. During the entire tour, a professional guide will be on the boat steering you along and telling you about the history of the area. There will be different musicians entertaining you during the tour from their own boats, and you can get up and dance and sing if you want to. Many vacationers claim that they had the most fun and excitement of their entire Cancun vacation when they were on the Xoximilco excursion. Some of the vacationers were especially charmed by the captain and the gondola drivers who often sing, play along, and dance themselves to the music. When there is great music, and delicious foods and drinks, there is no doubt you will have an amazing time. One of the main attractions to this experience is the natural beauty and the Mayan jungle landscapes that you will enjoy during your ride. Every visitor will appreciate all the mangroves systems and lush landscapes viewed during the tour. If you are going on the Xoximilco at night, you will want to make sure you look up at the moon and stars and realize that pre-Hispanics viewed the same starlight skies. 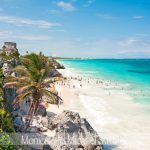 The natural beauty of Cancun is the best backdrop, and it represents an ideal spot to enjoy delicious traditional dishes from various states in Mexico. This demonstration is an excellent one that shows the different flavors of this complex and rich country. 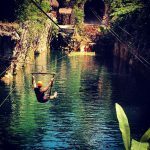 Will you be in Cancun soon and are you interested in going on the Xoximilco excursion? The next time that you are in Cancun, make sure you go on one of the day or evening tours. The Xoximilco excursion in Cancun is where the party is happening in Mexico. 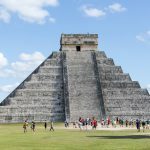 Share the post "Cancun: Xoximilco Excursion"